“Argh! Well, shouldn’t I do SOMETHING!??!?! ?” I replied. “What CAN I do? “The more the merrier!” I retorted. “She asks, ‘Why is this happening?’” Carl interjected. “Yes, mentally I get it. But it still seems closed-hearted” I said. “Is anything worth attaining ever easy?” he asked. “Another excellent point, Carl. This is but a blip in all of time. Can I at least send them love, help them raise awareness, or donate to a cause? “Yes, of course, but only do so from the space of love, not of responsibility. What do you tell all of your clients? “Indeed, Carl. Indeed...” I pondered for a moment… “But Carl, even knowing all this, I’m still not happy. 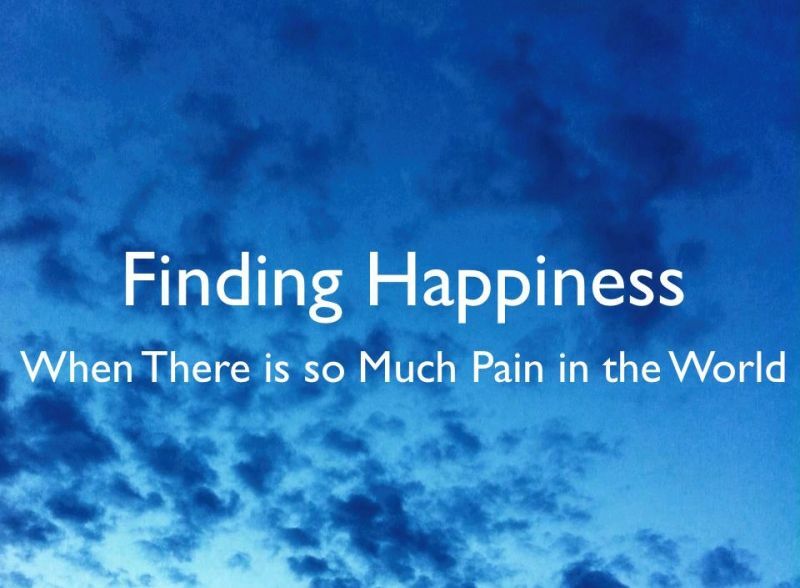 The question was, ‘How can I find happiness when there is so much pain in the world’ — how do we do that? “And part of the soul’s mission, right? To experience everything?!? !” I shouted. Photo (c)Amanda J Daniels used with permission.